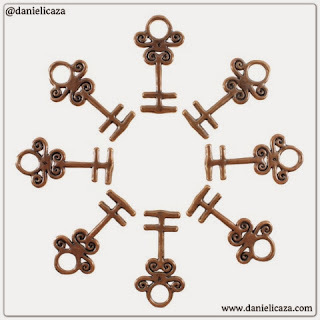 Daniel Icaza Artist & Metalsmith: KEYS!!! Just finished making some cast bronze keys! Many people have already interpreted them in MANY different ways, so I like to say they are the keys to your imagination... ;o) And in that spirit it is also up to you how you would like to use them. 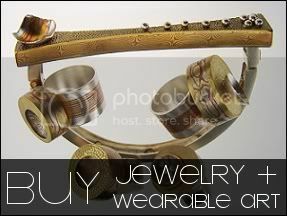 They make great pendants, charms, decorative trinkets or whatever you like. I also have some altered keys in the works that make excellent earrings/weights! Those will be coming soon. Check out the first four key designs below and feel free to CLICK HERE to buy them now! Hope you like these new creations. For now its back to work, I still have a lot of projects in the work and a bunch of things to finish up as well! Hope to be back with more progress to share soon. 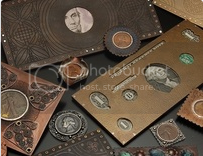 Hello, I'm Daniel Icaza, a Visual Artist and Metalsmith. This blog is where I document what I'm creating and doing. Feel free to look around and participate in the comments. Thanks for visiting! New Cosmic Belts and Buckles For Sale! This is a blog of original, artist-made content. All designs, graphics, layouts, photos, artwork, creations, content are ownership of Daniel Icaza for this blog, (unless otherwise stated). You are welcome to share content, but please give ample credits and links back to Daniel Icaza. Thank you! Copyright (C) 2013. All content, photographs, artwork is property of Daniel Icaza.